There are 50 Dunkin Donuts stores within a 10 mile radius of my home. For a simple, dependable chocolate frosted donut, you can’t go wrong with one of theirs. 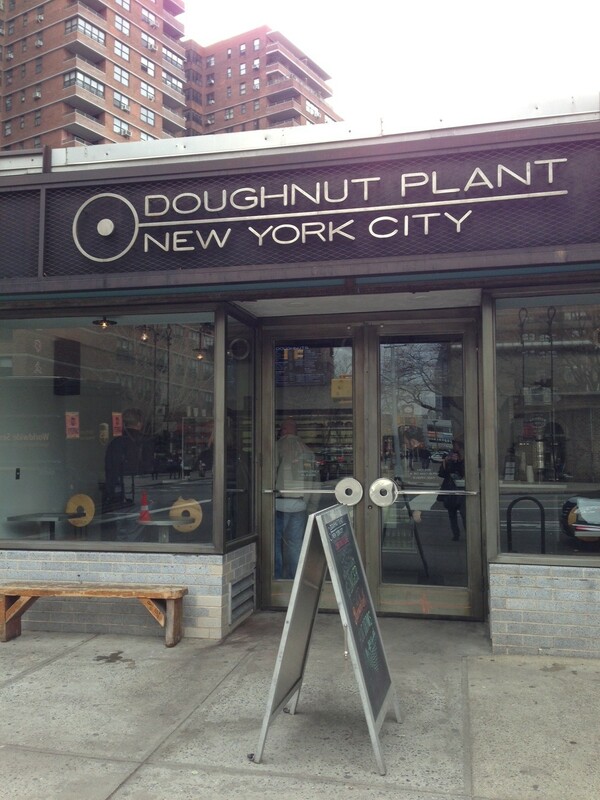 But, if you’re looking for something a bit more unusual then you need to try the doughnuts at one of the two Doughnut Planet stores located in Manhattan. Mark Isreal started Doughnut Plant in 1994, with his grandfather’s original doughnut recipe, in the basement of a Lower East Side tenement building that was converted into a bakery. In 2000, he moved to a street level location on Grand Street. Mr. Isreal developed his own techniques of doughnut making as well as the original idea of using fresh seasonal fruit and fresh roasted nuts in glazes. Other innovations he brings to doughnut making include: a jelly-filled square doughnut; “cake” doughnuts, which are made without yeast; and mini doughnuts with unusual fillings and glazes like Gianduja, a doughnut with a chocolate glaze and chocolate hazelnut filling. 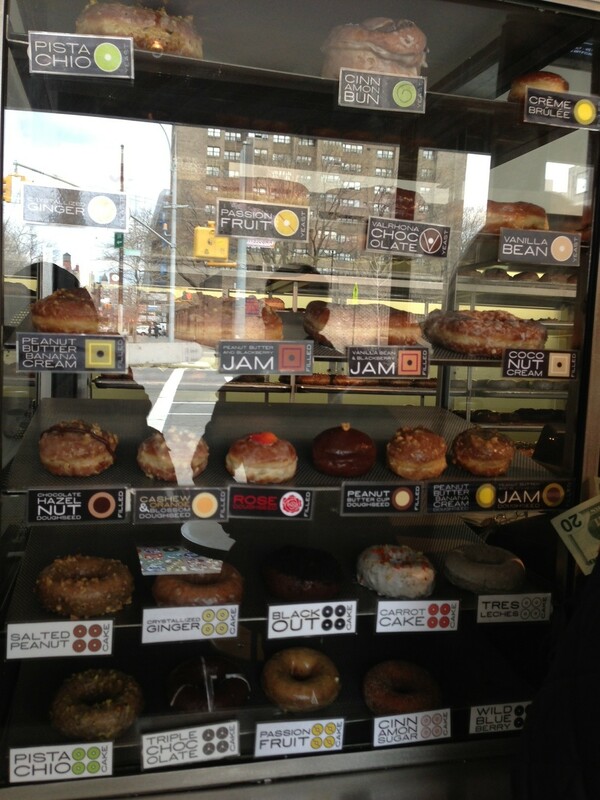 On a recent visit, I had a hard time choosing which doughnuts to buy. 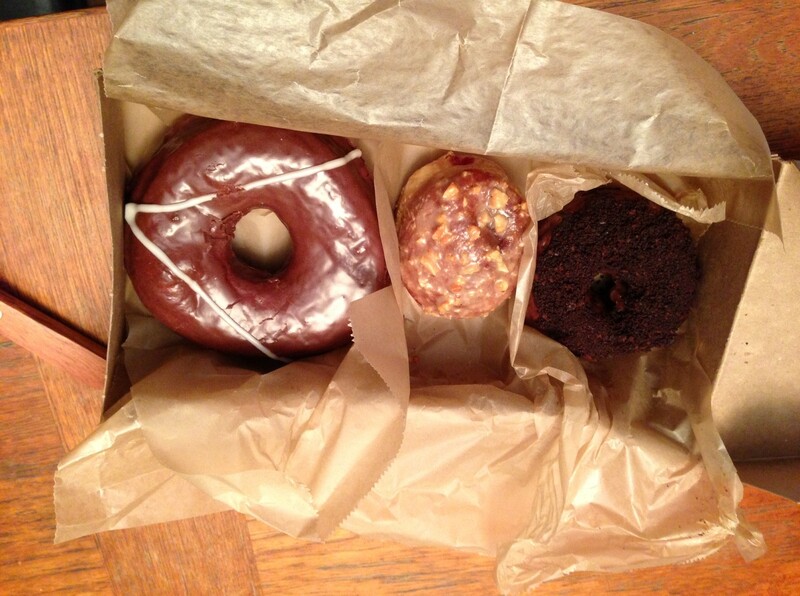 I picked a combination of cake and yeast doughnuts, and selected one I had before — chocolate blackout cake — as well as two I had never tried — peanut butter and jelly, and Valrhona chooclate. They were all delicious! Sounds yummy. Nothing better than a good cup of coffee with a donut. Will try on my next expedition to Lower East Side. They are delicious with coffee! Sounds so yummy. Are they much more expensive than Dunkin?